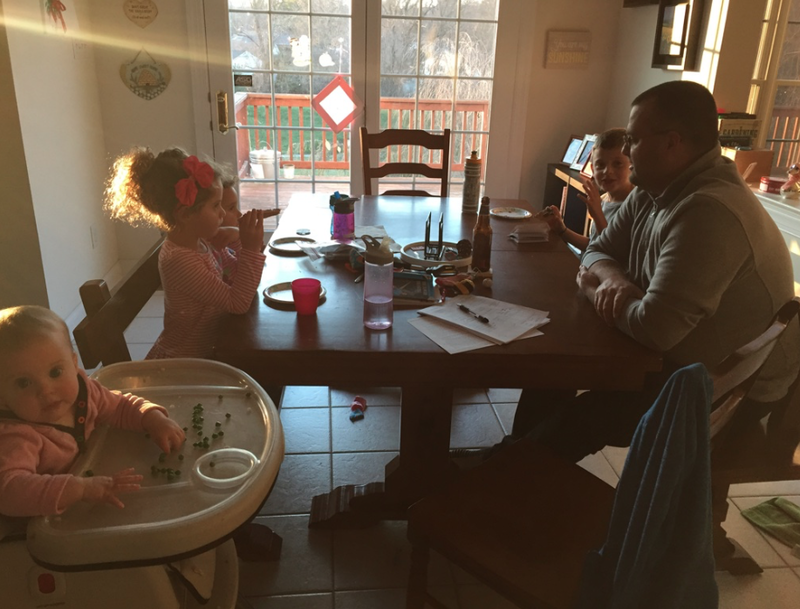 For 2016, aside from my goal of 10 minutes per child per day (1 on 1 time, no technology invited), I am trying to institute a weekly family meeting on Sundays to get everyone on the same page. Last night was our first one! I am reading “the ME ME ME epidemic” – Amy McCreedy, which suggested this idea, and I’ve read it before in a positive discipline book. We had an agenda up all week on the fridge that you could add to, and gave each child a role for the meeting. 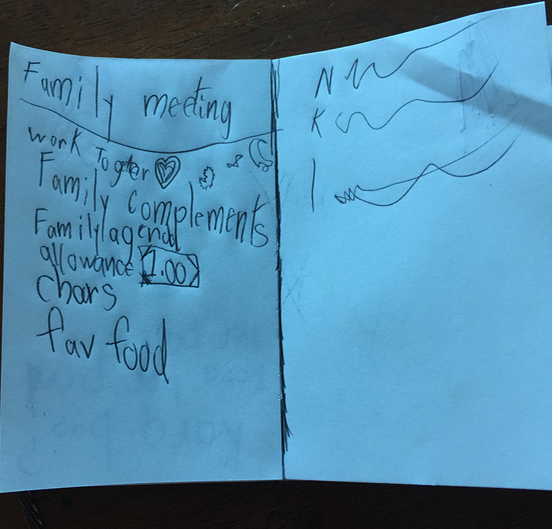 One was the snack preparer, one was the napkin passer and one was the fun planner. Other jobs are meeting leader, note taker – you can make them up based on age. The snack that was picked was a graham cracker with peanut butter and raisins and chocolate chips to make a face. Announcements – we gave out jobs to each child for the week, instituted an allowance, and also went over the jobs that they have to do daily which are not included in the allowance. The daily jobs are making the bed, cleaning up the floor in their rooms, cleaning up after themselves, and putting their clean laundry away. We talked about TRAINING – knowing how to put away their laundry, how to make the bed and how the floor should look once clean. And then training for the weekly jobs which will rotate. The ones we picked were: 6-year old – empty trash throughout the house. 5-year old: dusting. 3-year old – dishwasher. These are jobs they have been helping with, taking turns as needed, but this was different in that everyone got a specific job for the week. Allowance – we decided on $1 will be paid on Sundays at the weekly meeting. Problems to discuss – went around the table to ask – personal space, quitting games in the middle, whining. Discussed solutions to the problems. 5-year old: buttery broccoli, buttery pasta and crispy chickpeas. 3-year old – peanut butter sandwich. Ha! Then our fun planner picked “kids on stage” and we ended with that. It was kind of a long “meeting” doing the game at the end, but I felt like it was productive and my goal is to get everyone on board with helping around the house and more teamwork. This holds everyone accountable! And it also brings us together as a family to brainstorm, give compliments, work on problems and check in weekly. I hope that we can continue to keep this a weekly thing! Friday – Maybe sushi?? I’m into it lately!! Do you do family meetings? what do you include?